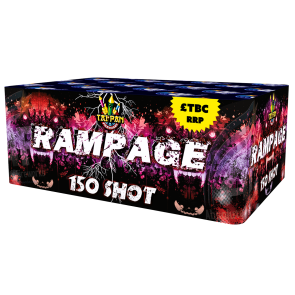 Rampage is a full-on 150 shot CAT 3 firework which runs for almost two minutes! A terrific firework that will please all ages with a wide range of effects, including crackling flower balls, green glitter and silver fish to name a few. An outstanding product in both duration and value.